Important information for those who have bought a ticket to Michael McIntyre in Lillehammer 6. February XNUM. 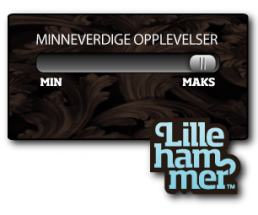 We regret to inform you that tomorrow's show with Michael McIntyre in Lillehammer 6. February has been moved to Friday 29. November XNUM. The reason for this is that Michael McIntyre has pulled out the flu. Purchased tickets and numbered seating are still applicable and you will need Don't do anything at all. If a new date should not fit you can refund the tickets at the outlet from Monday 11. February. The deadline for this is XNUM. April 11. We apologize for this and any inconvenience this may cause. Michael McIntyre was very pleased to come to Lillehammer and is very sorry that he has become ill. He hopes everyone has the opportunity to come in November instead. â € “Tickets purchased on the phone 815 33 / 133 22 82 81 97 XNUMX XNUMX XNUMX XNUMX ticketmaster.no refundable by calling 22 82 81 or by sending them to Ticketmaster Norway, Mailbox 97, 607 Mo i Rana. â € “Remember to mark the envelope with" Canceled Arrangement ". â € “The amount, without ticket or delivery fees, is then returned to the card that was used for the purchase. â € “If you purchased your ticket (s) via one of our outlets, you must contact the outlet to refund the ticket (s). NB! You must contact Ticketmaster Norway or the place where you purchased the ticket (s) BEFORE the last deadline for refund has expired! If you send in the ticket (s), we must send it to you by the deadline for reimbursement. If you have questions, see our help pages or call 815 33.